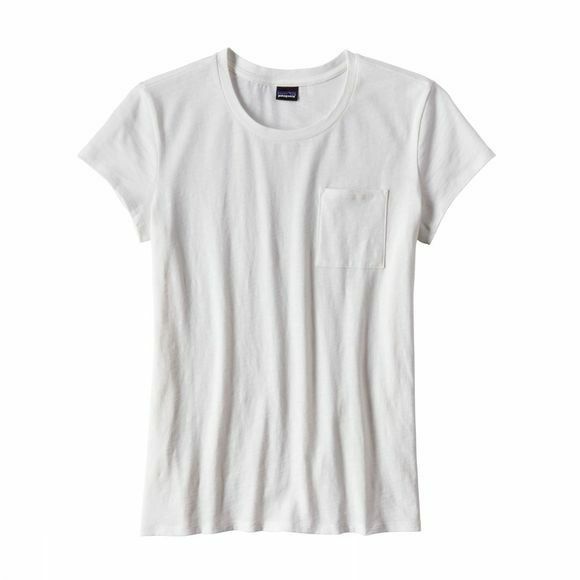 A lightweight, multifunctional pocket tee that wears softly and layers perfectly. The Mainstay Tee for women is made from a organic cotton/polyester fabric blend with a soft feel and nice drape. The silhouette allows for comfort and movement in any activity, perfect for summer days in the park. Patagonia's mission is simple: build the best product, cause no unnecessary harm, use business to inspire and implement solutions to the environmental crisis. Patagonia grew out of a small company that originally made tools for climbers. Today, alpinism remains at the heart of the business, which still makes clothes for climbing as well as for skiing, snowboarding, surfing, fly fishing, paddling and trail running. Patagonia believe that a love of wild and beautiful places demands participation in the fight to save them. And to help reverse the steep decline in the overall environmental health of our planet, they donate time, services and 1% of their sales to hundreds of grassroots environmental groups all over the world, who work to help reverse the decline in the environmental health of the planet.